Nitesh Rio is the upcoming project by Nitesh Estates, at Kanakpura road.Rio is a Plotted Development in Kanakapura Road of South Bangalore. 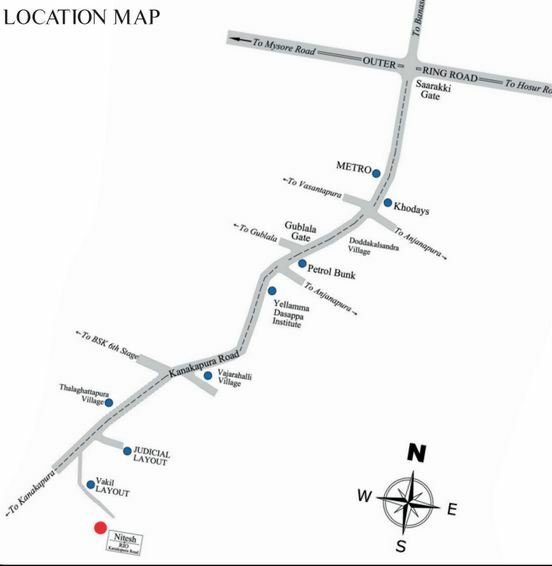 Nitesh Rio has got the landmark of Vakil Garden City, Kanakpura road of the most hunted residential area of South Bangalore.Kanakapura Road is on the southern edge of Bangalore. This plotted project is spread across a total land area of 13 acres with all the modern amenities. Nitesh Rio has 96 Units and plot size is 40X60 and 50X80 and rate is Rs.5,000/Sft. Team of designer worked together and planned well to the beautiful infrastructure and interiors. Landscaped Parks, Plush Lifestyle Amenities, Extravagant Swimming Pool, Luxury Clubhouse, World-Class Sports Facilities. other properties before making final decision. Kanakpura Road actually has a lot of Plot options, one of my collegues has bought a plot – Nitesh Rio. I am thinking of considering it. Hi al…..I have heard the Nitesh Estates have recently launched Nitesh Rio. I have browsed through Nitesh Estates website and am keen to invest in this project. . Almost finalising a deal there. I had invested in a plot near Hosur Road long time back but upon hearing the prospect owning a plot in Kanakpura road, I sold this plot and bought a new plot at Nitesh Rio. This was the best decision I have made!! Plenty of opportunity for appreciation. When I consider on investment, the first thing I search for is the location, price value and development in that location. The recently launched Nitesh Rio on Kanakpura Road has all these. Check out for this place if you are planning about investing. Lately theres a lot of gossip going around in my neighborhood about the recently launched Nitesh Rio by Nitesh Estates. im considering to buy a plot there for investment……. also heard agreements are about to get rolled out. 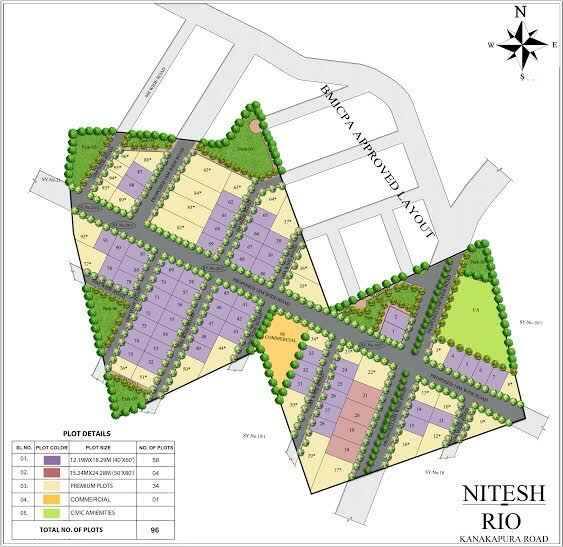 Nitesh Rio is one plot development you should look out for if you’re looking for an early ROI. I have invested there myself there…also the place is coming up with lot of amenities. Don’t follow any feedback…invest now! Hi Did you buy, if so how much? Can you reach me at 9945008764, as I’m planning to buy one now? Hi Did any one buy, if so how much? Can you reach me at 9945008764, as I’m planning to buy one now, or there any complaints?